Hey so today I tried getting pathweaver up and running on our robot and it was being very stubborn and refusing to run. I most definately made some stupid error that I can’t find so if anybody can help it would be greatly appreciated. If this function is being run on the robot, then there shouldn’t be any changes to your source files on your laptop. From my brief experimentation with pathweaver, running the pathweaver application on your computer without supplying a directory, does generate the paths in your source files. 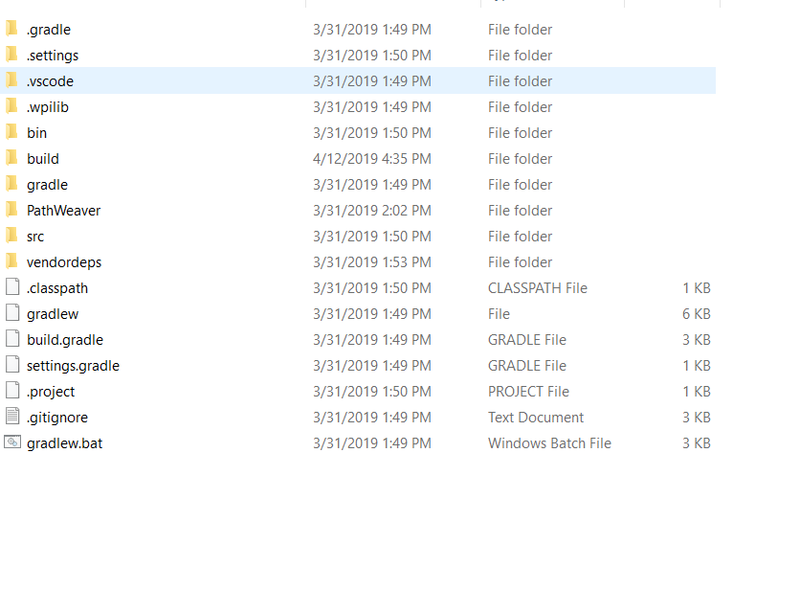 It is case sensitive but with these files in the deploy folder the sample code will be able to find the generated paths. I have skipped trying to get the sample code working because I’m not interested in using the Roborio as the path following processor and have jumped to trying to stream the data to TalonSRX’s and running Motion Profiling. Alternativly, we have the paths generate into the deploy folder, and don’t use the supplied reading helper provided with the library so we don’t have to manually copy things.